As a parent, you’ve no doubt noticed how small changes in your child’s environment can surprise them. Even we adults need to get used to changes in our lives. Our children are no different. As they transition from early childhood to elementary age, they will be learning many new things about the world that require time and practice. Parents can make these childhood transitions smooth and comfortable, helping children to gracefully, happily enter the new phase in their life that elementary education brings. Here are 5 Montessori-style ways for you to ease your son or daughter through the transitions that come naturally with moving out of their primary classroom and into their elementary Montessori classroom. Most parents hear the name Montessori and realize that it’s a different educational approach than you’ll see in traditional schools. But often, parents don’t fully understand what those differences are. To help your child move into the elementary Montessori classroom with success, it’s extremely beneficial for you to know what that elementary classroom will be like. When you have a good sense of what to expect, you can more easily support your child’s transition into elementary age. Set an appointment to tour the school. We love giving tours so you can see for yourself what our classrooms are like. Check out our online resources. Our website answers many common questions parents have and provides tools you can use to further your child’s development. Get to know your child’s teachers. Ask questions. Listen to their input. They likely have great suggestions to help you make the most of your child’s growth at this time in their young life. Children learn as they grow. Don’t be surprised to see your elementary age son or daughter exhibiting new ways of behaving that are different than when they were in primary classes. This is a normal part of their development. Your child, who may have been so diligent about quietly working in primary class, might be more interactive in the elementary classroom. They may be much more talkative as they seek to foster social connections. They will likely be negotiating and problem-solving as they learn to handle social situations. They will participate in collaborative work and group lessons more often. Encourage your child to problem-solve and help them discover their own ways to maneuver through social situations rather than rescuing them. This helps them develop practical social skills. Encourage them to be themselves as they seek to find their place in the social group. Authenticity is a great trait at any age. We encourage children to do their very best every day. This fosters a sense of persistence and commitment that goes beyond just getting good grades. We emphasize independence by inviting children to select their work each day, helping them discover their purpose and talents. Remember, transitions require us all to learn new things, meet new people, and adapt. It may take your son or daughter some time to get accustomed to what’s happening in their elementary Montessori class. Children are moving from a classroom in which they are the oldest children, and into a new classroom where they are among the youngest in the room. That’s a big change. The social dynamics involved in the elementary classroom are more complex. Your child will need to practice and experiment. Because there is more group activity, collaboration, and new educational opportunities for children of elementary age, your child will be engaging in new ways. This can temporarily make them tired at the end of a busy, fulfilling school day. They may need a little more rest until they adjust to it all. Children may even be uncomfortable with the changes at first. As teachers, we listen and validate their feelings, and encourage positivity. As a parent, you can do the same, supporting your child as they adjust. Most children adjust happily in no time. Remember, too, that as your child transitions from early childhood to elementary age, you as a parent are transitioning as well. You are learning to foster their growth and lifelong learning in new ways, and it is wise to give yourself the time and support to do so successfully. One way you can equip yourself to help your child enjoy success in their elementary classroom is to know how Montessori techniques work, and how you can support those techniques effectively at home. 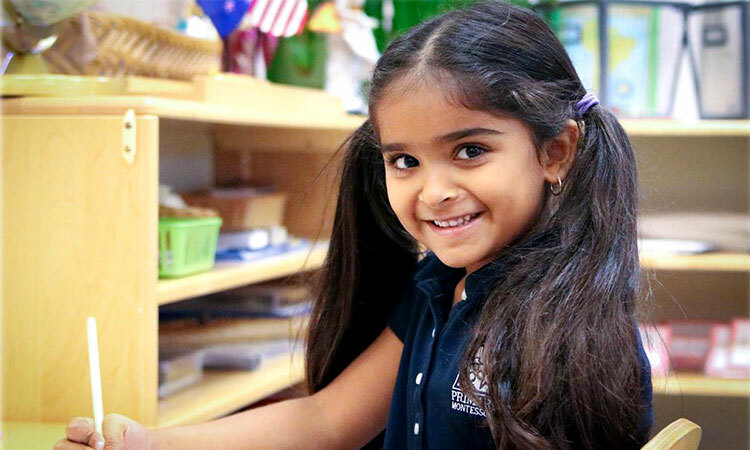 Learn more about the Montessori method and how it can help your child grow and mature in early childhood — socially, academically, and personally — at Primary Montessori and then see our Program Options.